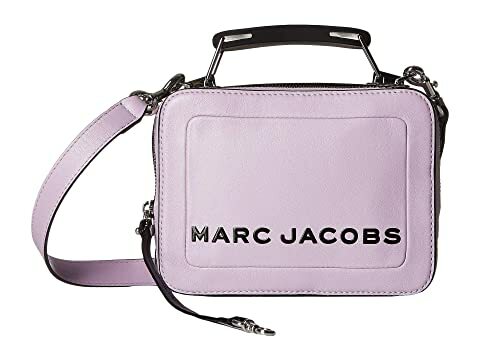 Let the curious and fun design of Marc Jacobs® The Box 20 handbag be your go to bag for any casual outing. Flat wrapped top carry handle decorated with brand name logo. Lined interior features single zip pocket.